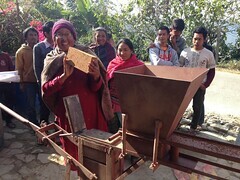 CLN and local non-profit partner Society Development Center (SODEC) initiated the Organic Coffee program two years ago in the village area where Director Parshu Dahal grew up. Then as now, people walk 7-8 hours in order to sell the few extra vegetables they might have so that they can earn some cash. Many young people have left the area, in search of better economic opportunities. They don’t want to tend livestock and be subsistence farmers. 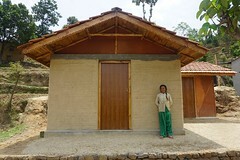 One goal of the Organic Coffee program is to develop local economic opportunities to help keep families intact and create a sustainable future for this rural area of the Himalayas where centuries-old farming is being replaced by migrations to Saudi Arabia and Qatar for work in construction and hospitality. In recent years, over one-third of Nepal’s GDP has come from people (generally men) working outside the country. This means that able young men live abroad for years at a time, often with no visit home. Meanwhile aging parents, wives, and small children are left to tend homestead and farm. CLN has provided the initial investment for 2 years to plant 20,000 coffee saplings and organize the first 12 farmers plus a demonstration plot. In 2017, we need $7000 so that the program can expand to 40 farmers total, offer a 5-day training, and plant an additional 40,000 saplings from our local nurseries. We also planted macadamia nut trees with the dual purpose of providing shade to coffee and producing high-value nuts. The test saplings are growing very well, so we will also be planting more macadamias in 2017. While the financial impact of coffee won’t be known for a few years yet, the first harvest next year will provide a good estimate. The critical factor is in the processing of the coffee “cherries” after they are picked. 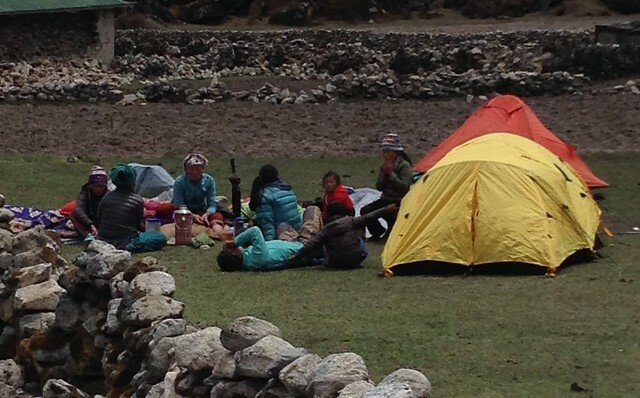 Substantial demand exists for high-quality specialty coffee from Nepal. The problem is that almost no one in Nepal has the required knowledge and skills in coffee processing to produce coffee of a very high caliber. In 2015 CLN funded a U.S. exposure visit for Parshu where he was able to study coffee processing, and he continues to expand his knowledge. He has also built relationships with U.S.-based coffee experts who may come to Nepal on a voluntary basis to refine processing once we have a regular harvest. Our hope is that we can generate the best possible earnings for local farmers by bringing this specialized knowledge to Nepal, and at the same time create a positive reputation for Nepal coffee so that farmers can take pride in their country and their work. The Organic Coffee program will become self-sustaining through the income it generates, yet will need our support for a few more years as the technical knowledge is acquired.